Attribution arms you with the deep, granular data you need to catch the type of fish you want and as many as you want. Incidentally, it also helps to have a “fancy” pole (i.e., a well-designed app). OK. Enough with the fishing metaphor. Here’s your list — plus a bonus at the end! Mobile attribution, when done by a reliable, unbiased provider, will optimize your app’s performance by pinpointing the value of specific channels, ad networks, publishers, campaigns, and even different versions of creatives. Attribution providers can open your eyes to a wealth of cross-network data that can help you boost lifetime value (LTV) and ultimately ROI. They will tell you exactly where you should spend your budget and where you shouldn’t. And this is why attribution is at the very heart of effective marketing. Let’s put this another way. Once you add attribution to your marketing stack, you’ll ask yourself, how could I have not been doing this all along? Attribution truly changes the mobile app game when it comes to performance marketing. And as you will learn further down this list, it will make your life a whole lot easier. Ad networks require apps to provide an SDK for measurement and optimization. SDKs for each ad network need different implementation and quality assurance. Apps also need to format and maintain proprietary integrations for each ad network. These are daunting tasks; too much for most app marketers. As app marketers scale their efforts, the delay and cost of adding new SDKs for each ad network or manually implementing and QAing postbacks slows their progress, drains technical resources and negatively impacts an app’s performance. This is why attribution providers offer what is referred to as a universal SDK. The concept is simple. 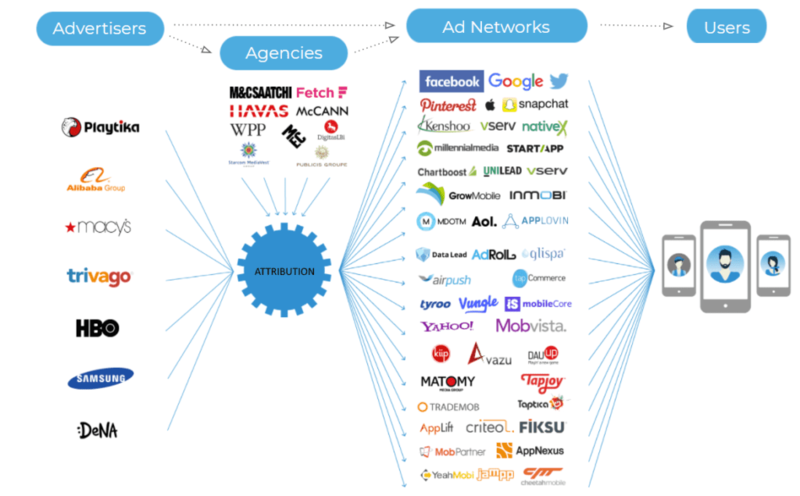 An app integrates only one SDK that can do measurement and attribution for all of its ad networks. Hence the term “universal.” Universal SDKs have already done the heavy lifting, connecting advertisers to the entire mobile ecosystem through integrations with 1000s of media sources. Today, last-touch attribution is the most common and accepted method for attributing installs. If, for example, your CPI (cost-per-install) is $2, the ad network that last touched the user gets the full amount. Here’s the problem. If you’re not doing attribution, ad networks can claim credit for an install they don’t deserve. If you’re scaling campaigns to several ad networks, each network that logged a touch on a multi-touch user journey can claim credit and charge you for an install. Why? Because ad networks only see their own touches. And you end up paying double or triple the CPI (cost per install) you should be paying. An impartial attribution provider trusted by both advertisers and media companies can connect all the dots and pinpoint exactly where the last touch came from. 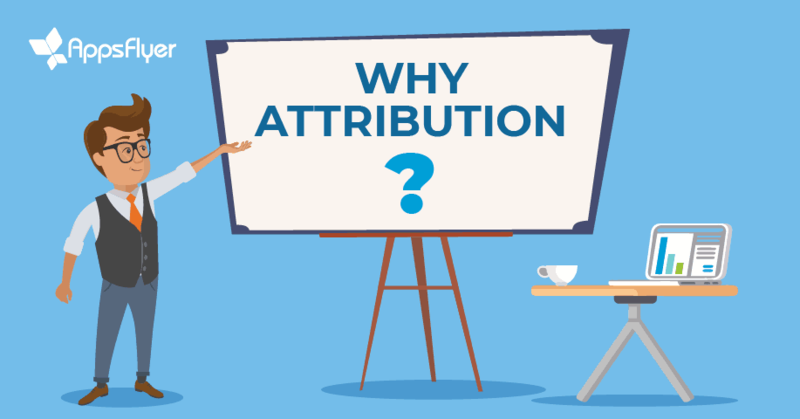 Attribution equips you with authoritative data and the confidence that the data is accurate and indisputable. With this insight, you pay one ad network and one ad network only. The money you save gives your ROI a nice boost and can go right back into user acquisition and re-engagement. If you’re not working with an attribution provider, you’re probably spending countless resources and man hours trying to make sense of your media data with too many dashboards and/or Excel spreadsheets. Sound familiar? This is a recipe for errors and plenty of missed opportunities for optimizing LTV and ROAS (return on ad spend). When you run non-organic campaigns — looking for users who are not necessarily looking for you — finding high quality is not easy. It takes accurate, in-depth data, some sophisticated marketing tools, and of course, time. One dashboard will save you lots of time and make finding better quality users and scaling your base much easier. With all your raw and aggregated data for both paid media sources and organic activity in one place, you will be able to more easily answer this key question: How can you tell if your non-organic campaigns are doing well? Answer: look at your organic users as a benchmark. They are a good indicator of your app’s success, and for good reason. Organic users are considered the best quality users, delivering high ROI and LTV (lifetime value). Doing this important comparison is easy when all of the data you need is in one place. The full visibility you get with attribution shows you the complete user funnel, from impressions and clicks to installs, in-app events, LTV, and ROAS (with cost data from integrated partners). This would depend on their level of integration with media companies (particularly the big ones). If you can get a clear picture of each point that led to a user’s tipping point, you can create a more effective funnel and optimize both your ad spend and the quality of your users. Attribution lets you see the whole story — the final touch and the “assists” that led up to the point before conversion — and again, in one dashboard. Doing attribution on your own is not easy — it is best done by a specialist. The mobile landscape is complicated and fragmented with users existing in two very different environments — mobile web and in-app — each requiring different methodologies. There are also multiple identifiers for measuring and matching clicks to installs. Mobile attribution technologies are advanced and complex. 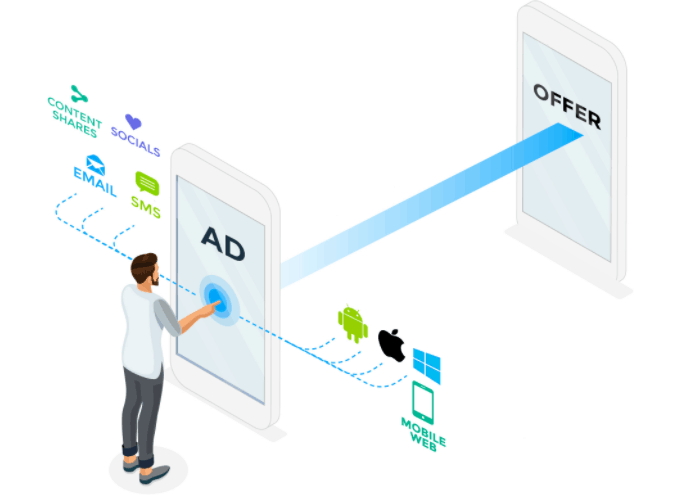 They include real-time integrations with leading ad networks, universal deep linking, fingerprinting, and secure postbacks for data sync across thousands of integrated providers. If this sounds complicated, it is. Fighting fraud should also be a serious consideration for any app owner. Fraud is a pervasive and dynamic problem for advertisers, ad networks and attribution providers. As mobile ad spend grows, so does fraud, as there is enough of a financial incentive for dubious actors. Fraudsters constantly develop new types of mobile ad fraud, stealing both organic and non-organic users through techniques such as click flooding, malware-based clicks, install hijacking, and resetting device IDs at scale. According to a 2017 AppsFlyer study, just over 10% of installs globally were fraudulent, and app install fraud cost advertisers between $2.2-$2.6 billion. If you ignore fraud or attempt to deal with it on your own, you’re throwing money away (to the wrong places) and potentially missing out on reaching actual users. Attribution providers are best equipped to fight fraud. They have the resources, tools, expertise and most importantly, massive cross-network scale. Bottom line: Let a reliable, unbiased attribution provider with a strong attribution platform do the heavy tech lifting and fraud blocking so you can focus on marketing strategy and building a strong user base. Why is deep linking a must-have tool for acquisition or re-engagement? Think about the user experience for a second: you serve a promotion (via a paid or owned channel) and put the user inside a context of your choosing. They click, install your app (if it’s not installed yet) and land directly into the same context, whether it’s a special offer, signup page, etc. For the user, it’s seamless. For you, it’s a win with significantly higher conversion rates. Deep links have a storied history as an essential element of attribution. In early 2015, the term and its associated technology barely made sense to even the most savvy technical marketer. Today, it’s a ubiquitous piece of every marketer’s jargon and attribution stack — and for good reason. Marketers are sometimes confused by the relationship between deep linking and attribution. The bottom line is that deep linking relies on attribution data to properly route the user. Incidentally, this is why you should never work with two separate vendors for attribution and deep linking. 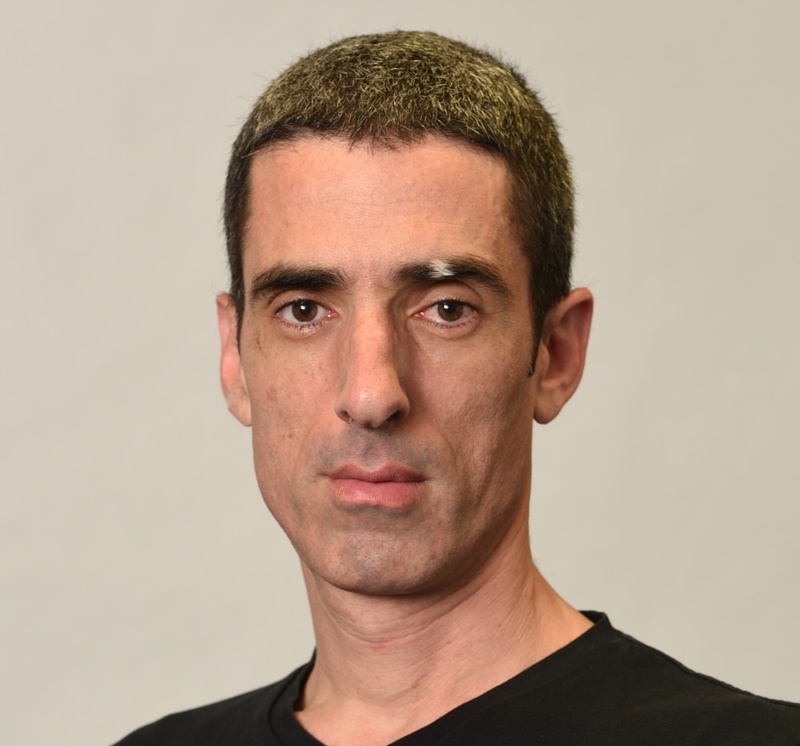 Jacob has been in the hi-tech marketing game for over 11 years, writing and consulting for large and small companies, startups and scale-ups. As the content marketing manager at AppsFlyer, he has been tasked with tackling the intricacies, complexities and cutting-edge industry developments in the ever dynamic world of mobile advertising.